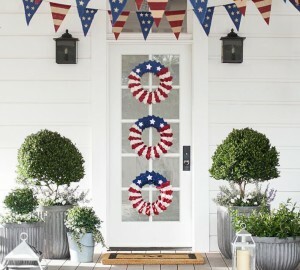 Since Memorial Day weekend is right around the corner, now is the perfect time to start planning your Memorial Day party. Whether you decide to host a low-key BBQ at a nearby park or want to go all-out with a tropical-themed luau in your own backyard, here are a few things to think about to help you create a totally awesome “First Official Holiday of Summer” Memorial Day celebration for your family and friends. One. 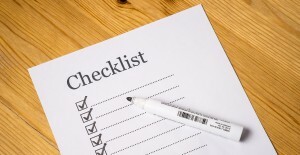 Create A Checklist and A Budget. Create an itemized budget, one that you can realistically afford, without breaking the bank. That budget should include not only cost for food, drinks, decorations, rental equipment (if needed) it should also contain a contingency amount just in case plans change at the last minute. Too often a host or hostess has no idea how much a party will end up costing and it’s no fun to discover that your perfect celebration ended up being a much more expensive soiree than you originally planned. Two. Prep Food Ahead of Time. Prepare as much as you can ahead of time and don’t try to do everything yourself! If it helps to get some special dishes from a local restaurant, catering company or even the local grocer, do it! Everything will be presented in your own dishes and no one will be the wiser and you’ll get all the credit. A week before your party, get out the dishes and platters you’ll be using and figure out what food goes where. When you plan everything in advance you are much more relaxed on the day of your event. Three. Set The Scene. Whether you’ve got a porch, deck, patio or pool, you’ll want to take full advantage of that space now. 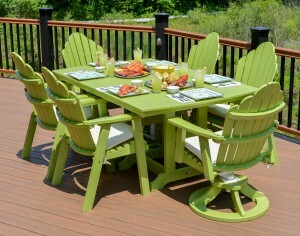 That means having beautiful, comfortable outdoor furniture for your family and friends. Don’t be afraid to add some Memorial Day themed touches like pillows that shout out: Hurrah for the Red, White and Blue! Four. Fire Up The Grill. What’s a Memorial Day party without a great cookout on the grill? And, don’t forget these tried-and-true grilling tips: Remember that grills cook faster than traditional cooking methods so make sure you have a designated “grill-master” who’s in charge. Also, because some of your seasonings (salt, pepper, spices) will tend to fall through the grate while cooking is going on, experts advise that you season a little heavier to make sure everything you cook is as flavorful as you desire. 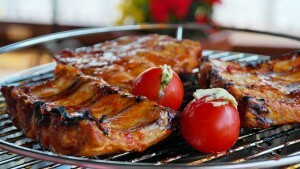 What temperature is best for grilling? A general rule of thumb is medium to medium-high heat. Five. How About A Signature Cocktail? 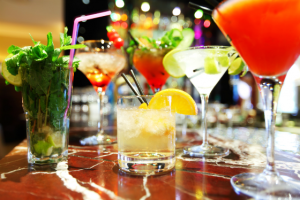 Make your Memorial Day party memorable with a special drink. It’s easy to do and summer cocktails are just fun. Start with a light, neutral spirit (vodka works well) add some fruit and fruit juice and voila! You have a cocktail which your guests will be requesting all summer long. Bonus! They’re colorful, too! Six. Do Some Decorating. 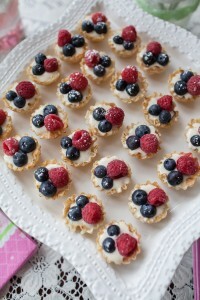 One year we had an especially fun Memorial Day celebration with our “Red, White & Blue” dinner. Red was represented by lobster and shrimp, White by homemade potato salad and Blue by an absolutely yummy blueberry cobbler. All of the decorations mirrored that theme from red, white and blue, table arrangements to tiny flags used on the appetizer platters. Fun, fun! Seven. Don’t Forget About Fun & Games. Whether your gang is into volleyball, croquet, badminton or board games, let the good times roll. Another fun idea is to create a make shift movie screen, set up the projector and show a great movie. Military-themed films are a natural or, if you want to start the summer with a few laughs, National Lampoon’s Vacation is a natural. Your choice. Start your summer right with a perfect Memorial Day get-together for you and yours. The fun is just beginning.